This Warwickshire family farm, cafe and Home Barn has Christmas covered from Free Range turkeys to Nordmann Firs, regional artisan gins and gorg gifts, plus Carols in the Cafe. Fancy a mooch? 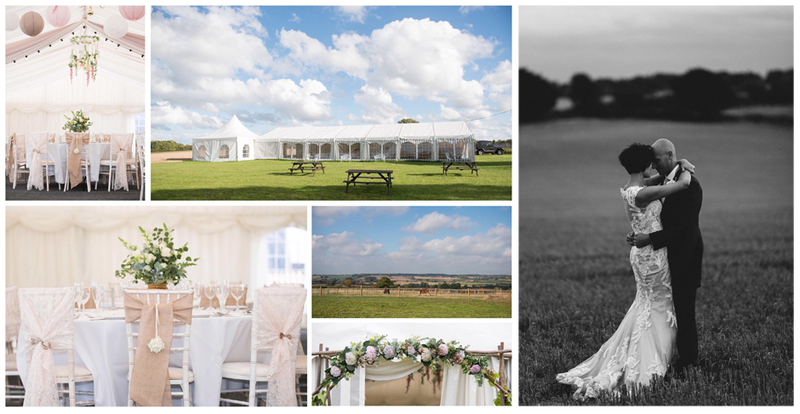 An idyllic award-winning glamping site, cafe & gin bar, independent home barn, country oh and Best Farm Shop in our 2018 Muddy awards – this third-generation family-run farm in Hunningham, Fosse Way, near Leamington Spa, has it all covered. Cousins-in-law Lotte and Lil Ellis put the village of Hunningham near Leamington Spa firmly on the map this autumn when they appeared on Channel 4’s Four in a Bed. In the programme B&B owners throw open their doors and rate each other’s properties. This beautifully appointed Warwickshire farm is well worth a stay or visit we reckon. 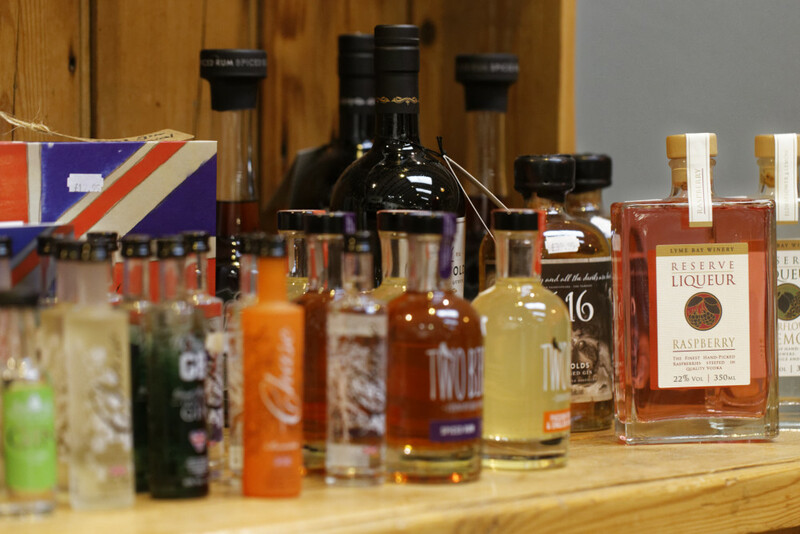 You can also stock up on all your seasonal Christmas shopping from Free Range bronze turkeys to Christmas fir trees, artisan gins and gifts. And Christmas events this season have included Carols in the Cafe (Dec 20), Christmas lunch, wreath-making and parties. Fancy a mooch? 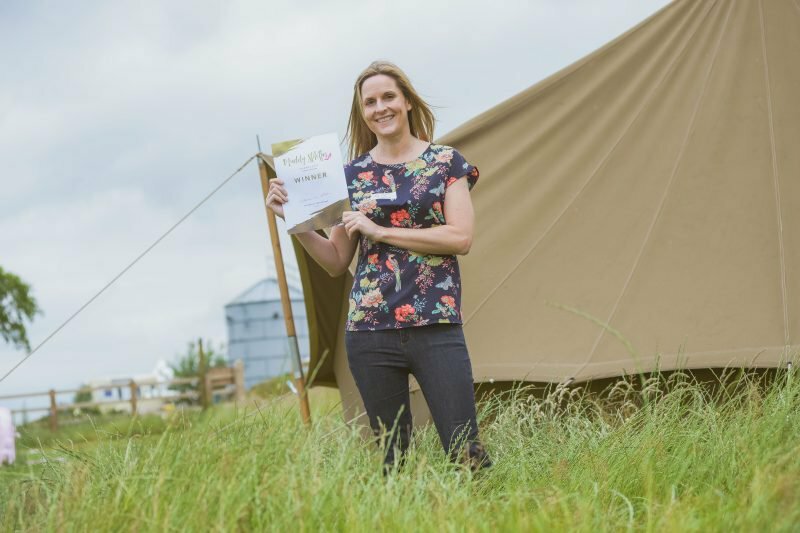 If you love the idea of bedding down under canvas, but can’t be faffed with all it entails, thank goodness for glamping! Hilltop Hideaways won Best Glamping in 2017’s Muddy Stilettos Awards. 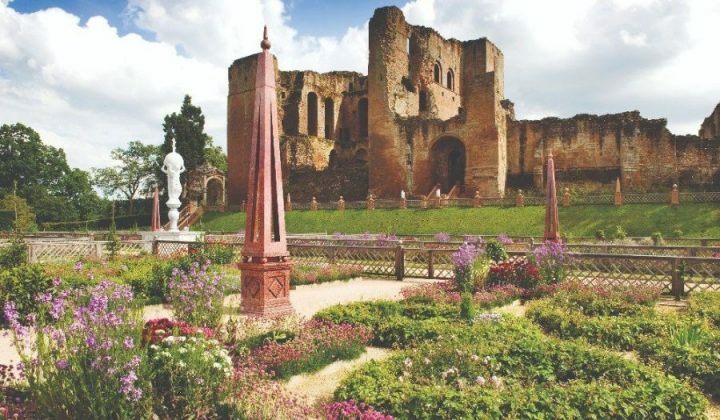 It’s a small peaceful, family and dog-friendly site with a lovely community feel in a beautiful scenic spot near the attractive Regency town of Leamington Spa with its creative and lively independent scene. 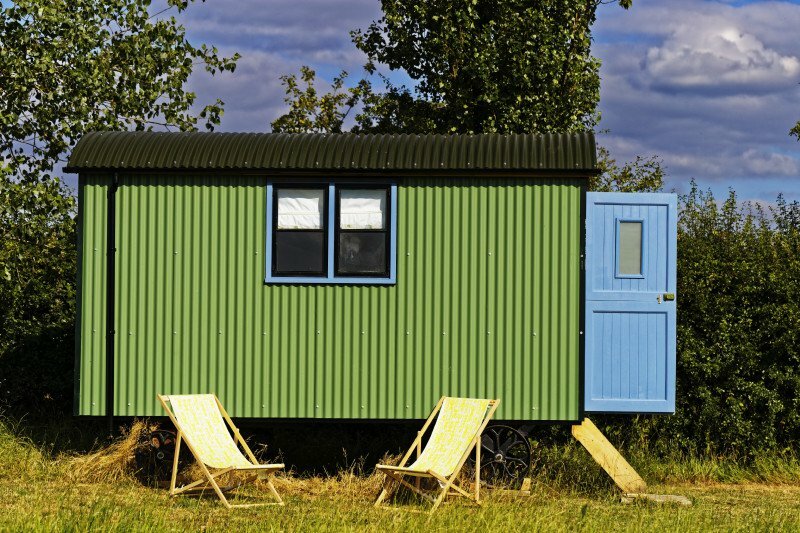 You can stay in wooden cabins, shepherds huts or bell tents. Facilities include a BBQ area, beautiful high-pressure showers in converted horse trailers and a lovely toilet block. There’s also a limited number of bring-your-own tent pitches too. 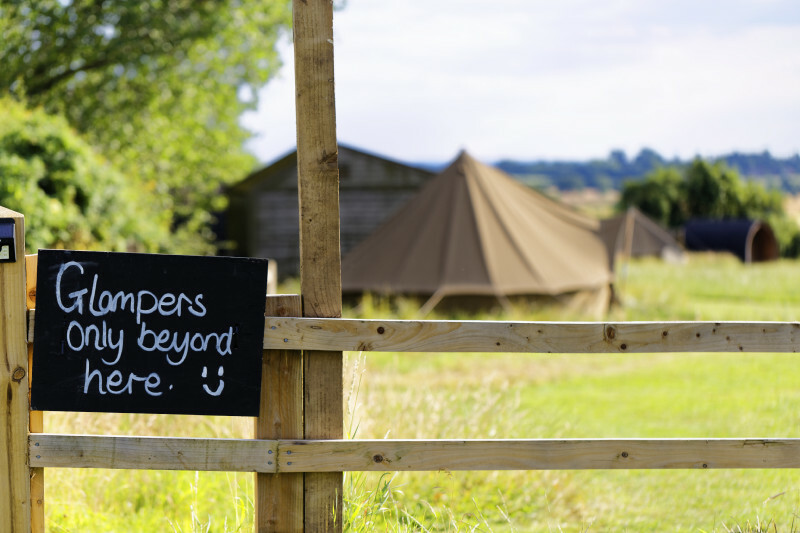 We kipped under canvas down on the farm last summer – you can read my review here. John Ellis first started selling their own home-reared meats at local Farmer’s Markets almost 20 years ago. With a new butcher in tow, Graham Marshall, Hilltop Farm’s Butchery produces its own lamb and 80% of the beef sold in the shop, traditionally reared to the highest standards on the farm. Bacon and sausages are also home-produced on Caroline Ellis’ (John’s wife) family farm in Hinckley, Leics. 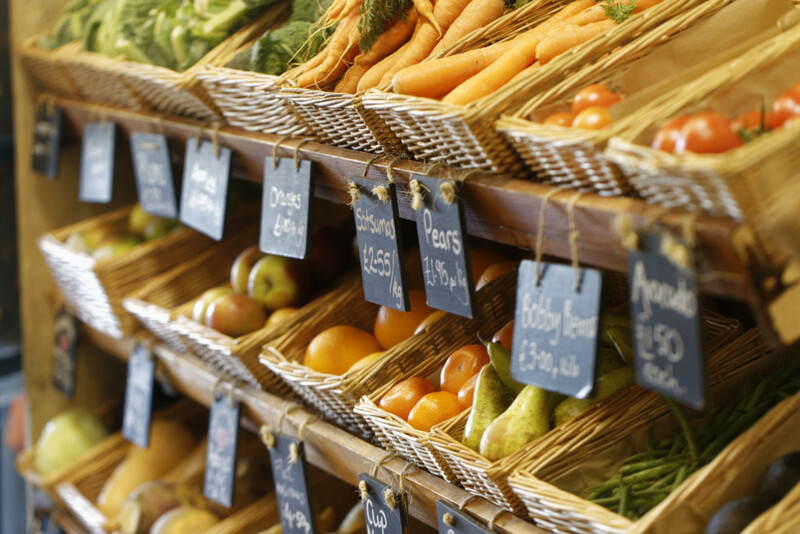 Taste the finest Warwickshire produce as everything you buy is locally produced – with cakes from Blueberry Hill Patisserie, fresh bread from Le Petit Croissant Bakery in Upper Quinton, Stratford-upon-Avon, cheeses from Fowlers Cheese Makers and locally-grown fresh produce. Feeling peckish? Whether you’re glamping or live locally you can enjoy a hearty farmhouse breakfast every day of the week from 9am – 11.30am (Mon-Sun) made with fresh produce from the Farm shop. 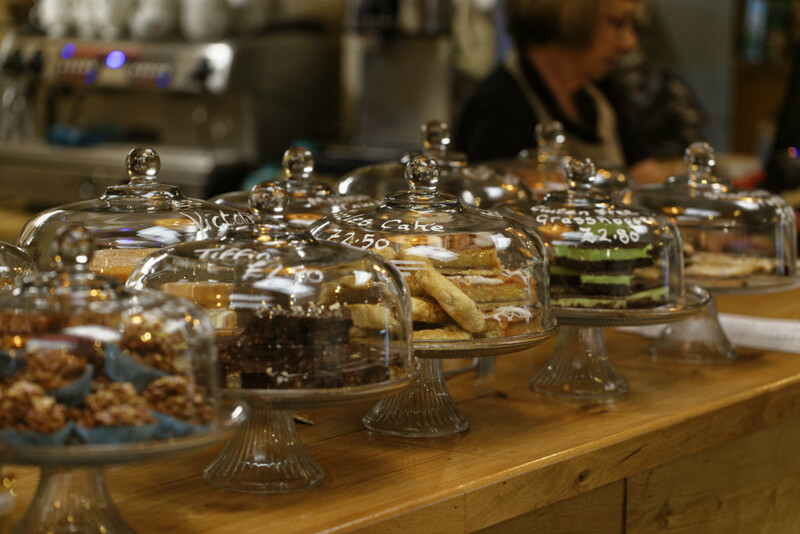 Tasty lunches, light bites and afternoon teas are also on the menu, as well as evening meals on Fridays in spring and summer. Check out the menu’s here. Outside there’s table seating, a play area to keep small children amused and glorious views. In need of something a little stronger? Hilltop’s Gin Bar stocks wide range of British regionally produced gins from Warwickshire and neighbouring counties including Cotswolds Distillery gin and whisky, Two Birds gin founded in Leicestershire, York’s Hedgerow Gin and Cheltenham produced Sibling Gin, as well as Burning Barn Rum from Northamptonshire in lots of different flavours. 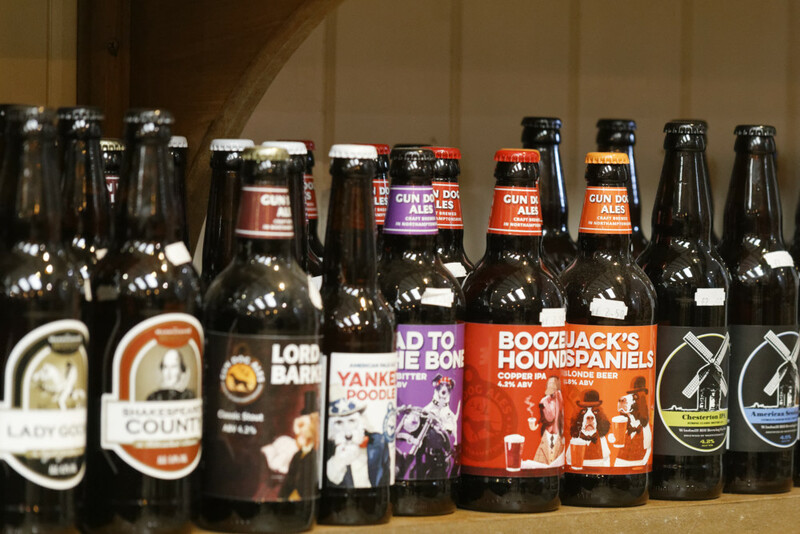 Locally-produced ciders, ales and artisan wines are a-plenty too. There’s also art and photography to buy. Looking for gifts or up-cycled vintage industrial furniture? Gail Kelsey opened Home Barn Lifestyle Destination at Hilltop Farm in May this year. Previously she was based in Stratford. She specialises in hand-crafted furniture including butcher’s blocks, rustic wooden deli-boards and pizza ovens (to hire and buy) made at her husband’s workshop on their farm near Rugby. 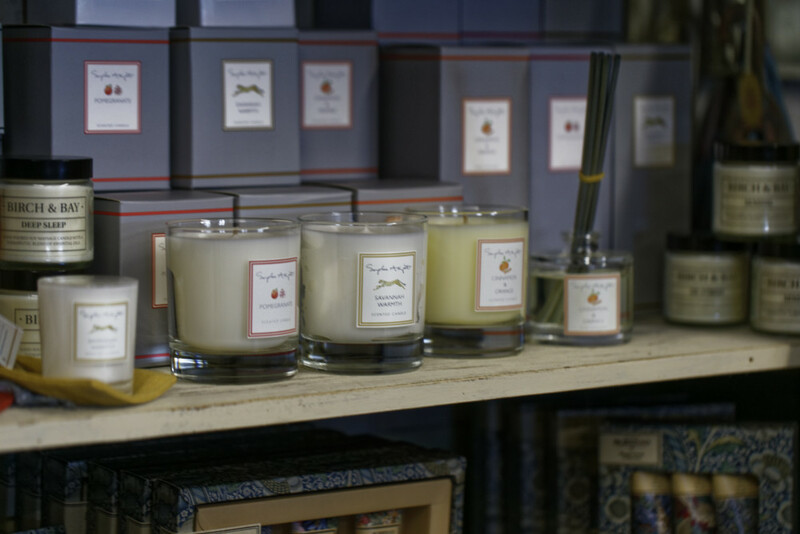 She sells an eclectic mix of gifts, candles and home-ware from original shrimp baskets to a vintage theatrical lamp and children’s toys. She also stocks Sophie Allport homeware, Gisela Graham collections, as well as colourful individual and quirky one-offs by local crafters such as colourful hand-made crochet baskets, pineapple tea-cosies and pom-pom bunting. A new women’s fashion collection is also in store. Open 10am-4pm every day, closed on Monday’s. EVENTS: FROM STREET FOOD TO AN ANNUAL BEER & CIDER FESTIVAL, FIREWORKS AND FESTIVE FUN! 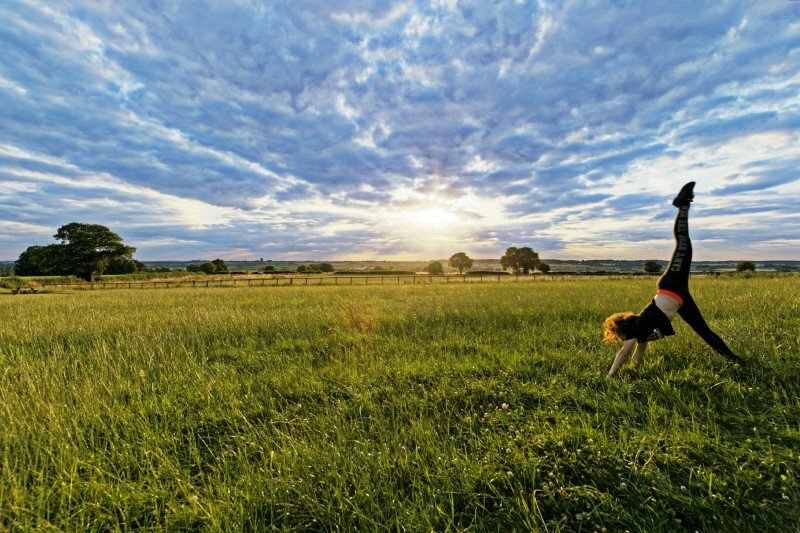 Keep an eye out for rural fun on the farm all year round. Every Friday evening there’s a big ol’ party in the summer with street food and live music, including pizza nights, BBQ’s, outdoor yoga and every June Hilltop’s annual Beer and Cider Festival with more than 20 craft beers and ciders. 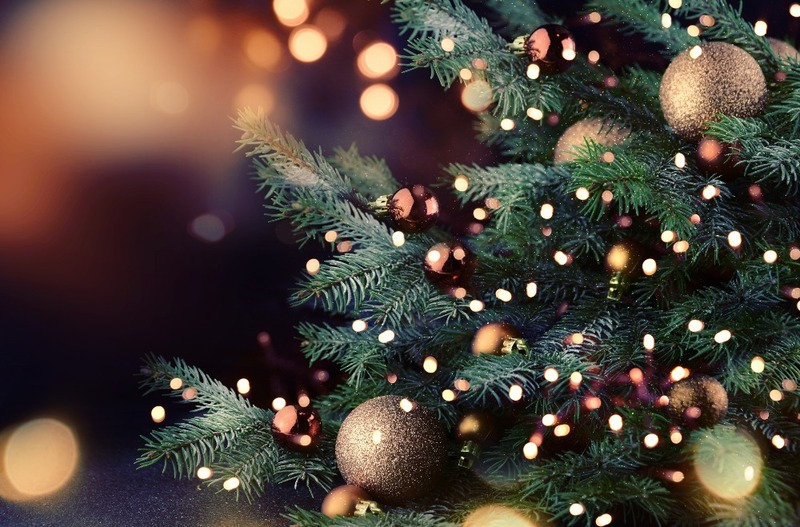 In November Bonfire Night is a big draw across the county and in the run up to Christmas a host of seasonal activities and events from Christmas lunch and parties to Carols in the Cafe. See Facebook and the farm’s swanky redesigned website for What’s On updates.